The Terma Leo SIM offers basic manual control so you can enjoy bathroom heating and towel warming on demand. Its 500w output will offer effective warmth for areas up to 5.5m² - making it perfect for small to mid-sized bathrooms. 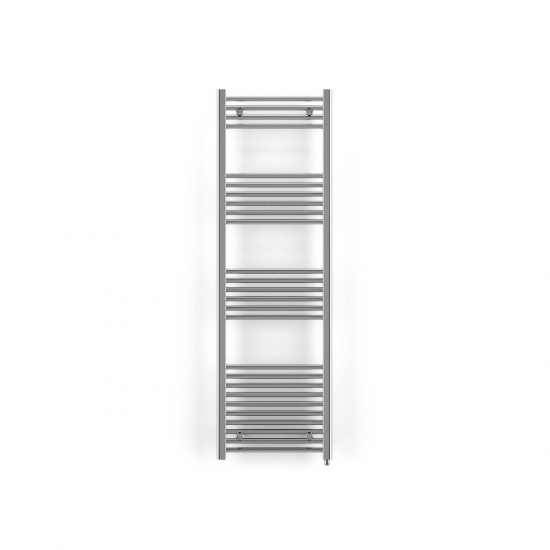 The Terma Leo SIM Electric Towel Rail is a simple yet elegant bathroom heating solution with its classic straight bar design and attractive chrome finish. This 500w bathroom heater is able to heat up to 5.5m² and will provide practical towel drying and storage for larger spaces.